It’s not everyday a luxury automaker releases its first ever sports utility vehicle. There is a first time for everything and with the eyes of the world watching, the 2018 Jaguar F-PACE, available at our Bryant area dealership, made a grand debut and dazzled automotive industry experts and drivers alike. That’s why it took home 70 prestigious awards across a wide range of publications and shows, including the 2017 World Car of the Year and World Car Design of the Year. To honor this impressive list of achievements for the newcomer, the British automaker crafted a short video titled, Blacklight, to commemorate and celebrate this refreshing new performance SUV. All those seductive lines and contours aren’t just for show either, which is what makes this such a worthy vehicle to check out at our Jaguar dealer serving Bryant. Hundreds of hours in the wind tunnel helped refine this vehicle and create an astounding drag co-efficient of 0.34. But that’s just where the brilliance begins. Those same lines help reduce dirt accumulation and the rear section especially showcases this design feat, which helps you see better in adverse driving conditions. This is a performance SUV that changes the game by proving that a vehicle can look good and push the envelope at the same time. 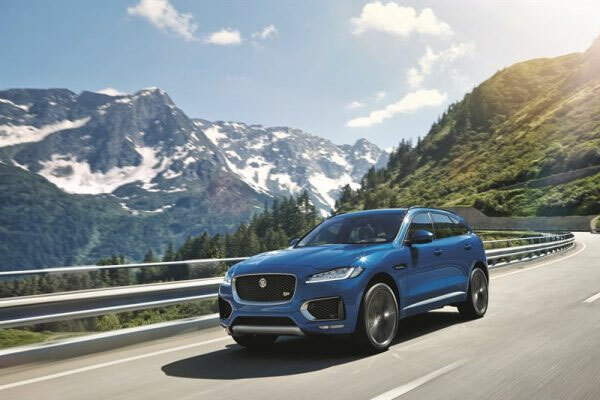 Contact Jaguar Little Rock today to schedule a test drive in the 2018 Jaguar F-PACE. For more information, just give us a call at (833) 664-6125.